Sharing his incredibly inspiring life story is just one of the ways Dee Hankins gets students to focus on their resilience. With his specialized "At-Best" program, Dee has been helping schools better serve their under preforming students become more resilient in and out of the classroom. 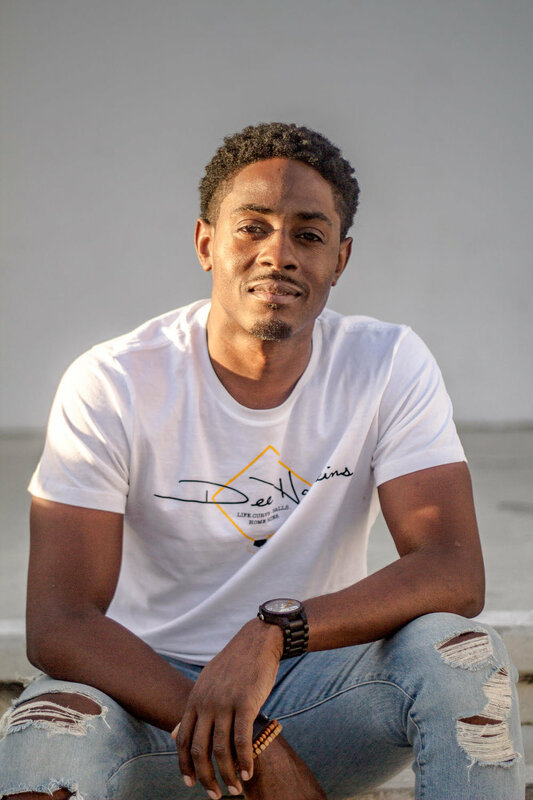 Dee has also taken his talent for entertainment, his passion for change, and belief that anyone can make a difference in this world and created EnterChangement. These projects help build character, make an impact in the community, and give students a chance to activate their resilience. Although Dee is very much into the world of superheroes, he can, physically, only be in one place at a time. However, to keep students engaged, his Youtube videos and social media talk show "Sofa Sessions" gives fresh takes on real life, further helping students with the notion that life throws curve-balls but even curve-balls can be hit for home runs! Dee Hankins speaks to thousands of students and educators each year, teaching them to focus on their resilience and to never give up. As a nationally acclaimed inspirational youth speaker, Dee has made a major impact with clients such as CADA, NASC, Jostens, The Department of Children and Family Services, and many more! I was two months old when I was placed into foster care. My biological mom had taken me to the hospital one night when she noticed that I was really sick. The doctor had found small traces of cocaine in my system. My family was heavily involved in drug use. I spent my first 4 years in a loving foster home with a mother, father, and siblings. One day after returning home from a full day of fun and friends, I felt something that I’ve never felt before, we call it tension. When I got into the house I caught a glimpse of my (foster) mom crying. I also noticed that my bedroom, which was once so filled with toys it reminded me of Toys-R-Us on black Friday, completely empty. The only thing that remained was a small, Superman suitcase, packed with clothes. With a quick hug and kiss from my mom and a whisper of “I Love You”, the social worker, who was also present at the time, walked me to her car, grabbed my belongings, and that was that. I’ve never seen the woman I called mom again. Sadly enough this wouldn’t be the last time I would have to endure this heartbreaking experience. I spent the next 8 years of my life literally bouncing around from home to home. I began to feel unwanted and anger started to manifest itself in my behavior. I developed sever trust issues, anger issues, authority issues. I would often get into trouble at school for foul language, fighting and an overall lack of respect for authority. Most of the care providers I stayed with had no other choice but to release me and place me back in the hand of my social workers. I was 12 years old when I landed in foster home #12. This would be my last. Most of my young life I strongly believed that no one cared about me. I felt that it was just me against the world and I was going at it alone with no light at the end of my tunnel. Statistically, almost 50% of African American males placed in the foster care system drop out of high school. We are almost 10 times more likely to end up in a prison than to ever step foot on a college campus. This would have been the case for me had I not gotten a call from a college sponsorship program called United Friends of the Children. They persistently encouraged me to enroll in college and even offered me a scholarship. Their effort opened my eyes and changed my entire view on life itself. They helped me realize that there are people who do care. I did not drop out of high school and I definitely did not end up in prison. As a matter of fact, I graduated from California State University; Long Beach with a B.S. in Criminal Justice. I’ve come to realize that God has blessed me with a gift of speaking and a story to tell. Life has challenges, some small, some big, and my job is to help inspire people to win them, ESPECIALLY MY FAMILY: CURRENT AND FORMER FOSTER YOUTH. I am now on a mission to show every student that they can have a chance at a successful future…no matter their background!